We have launched our next Kickstarter project, Love 2 Hate: A Party Game for Inappropriate People! //greenronin.com/wp-content/uploads/2017/07/RoninBanner-1.png 0 0 Evan Sass //greenronin.com/wp-content/uploads/2017/07/RoninBanner-1.png Evan Sass2014-02-13 11:19:182014-02-13 11:19:18Dragon Age Dice Set: Pre-Order Today! //greenronin.com/wp-content/uploads/2017/07/RoninBanner-1.png 0 0 Evan Sass //greenronin.com/wp-content/uploads/2017/07/RoninBanner-1.png Evan Sass2013-12-20 06:00:002013-12-20 06:00:00Happy Holidays from Green Ronin! //greenronin.com/wp-content/uploads/2017/07/RoninBanner-1.png 0 0 Evan Sass //greenronin.com/wp-content/uploads/2017/07/RoninBanner-1.png Evan Sass2013-11-25 10:31:522013-11-25 10:31:52Green Ronin Gift Cards! //greenronin.com/wp-content/uploads/2017/07/RoninBanner-1.png 0 0 Chris Pramas //greenronin.com/wp-content/uploads/2017/07/RoninBanner-1.png Chris Pramas2013-10-16 14:10:182014-04-04 00:41:02Owen K.C. Stephens Joins Green Ronin as Pathfinder Developer! //greenronin.com/wp-content/uploads/2017/07/RoninBanner-1.png 0 0 Evan Sass //greenronin.com/wp-content/uploads/2017/07/RoninBanner-1.png Evan Sass2013-08-30 09:45:492013-08-30 09:45:49Find Our Secret HQ at PAX! //greenronin.com/wp-content/uploads/2017/07/RoninBanner-1.png 0 0 Evan Sass //greenronin.com/wp-content/uploads/2017/07/RoninBanner-1.png Evan Sass2013-06-19 14:40:422013-06-19 14:40:42Wild Cards SCARE Sheet 7: Hoodoo Mama (PDF) and New Online Store! //greenronin.com/wp-content/uploads/2017/07/RoninBanner-1.png 0 0 Evan Sass //greenronin.com/wp-content/uploads/2017/07/RoninBanner-1.png Evan Sass2013-06-19 14:08:242013-06-19 14:08:24A Blog of Games : Season 3, Episode 8: "Marriage Between the Houses"
This week in A Blog of Games, follow along as two relatively equally matched fighters duel to the death, inspired by Episode 5 of Season 3, A Game of Thrones. SPOILER ALERT: Spoilers ahead. Proceed with caution. A Blog of Games : Season 3, Episode 5: "A Duel to the Death"
This week’s entry to A Blog of Games is posted, taking a look at some of the nastier elements of a possible Intrigue, inspired by Episode 4 of Season 3, A Game of Thrones. SPOILER ALERT: Spoilers ahead. Proceed with caution. 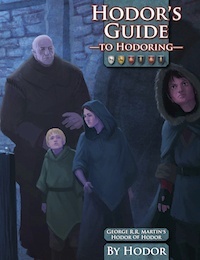 A Blog of Games : Season 3, Episode 4: "A One-Handed Kingslayer"
In today’s A Blog of Games entry, Joe Carriker dives into the inner working of the Small Council, and provides in-game benefits of holding a position therein. Contains possible spoilers! A Blog of Games : Season 3, Episode 3: "The Master of Coin"
//greenronin.com/wp-content/uploads/2017/07/RoninBanner-1.png 0 0 Evan Sass //greenronin.com/wp-content/uploads/2017/07/RoninBanner-1.png Evan Sass2013-05-01 10:33:502013-05-01 10:33:50A Blog of Games : Season 3, Episode 2: "The Three-Eyed Crow Is You"
//greenronin.com/wp-content/uploads/2017/07/RoninBanner-1.png 0 0 Evan Sass //greenronin.com/wp-content/uploads/2017/07/RoninBanner-1.png Evan Sass2013-04-23 13:42:352013-04-23 13:42:35DC Adventures: Universe Now Pre-Ordering!